WIN-TECH Creations is a Turnkey Contractor as well as the manufacturer of modular workstations,furniture (Tables & storages) and chair. Wintech abides to deliver one goal to accomplish a project as a whole commencing from planning to the end task of handing over the key to the client. Wintech has professionals who have acquired vast knowledge to perform the entire task in the most optimal manner to meet out the requirements of our clients in the most elite manner. Wintech adheres to blossom ones dream by blending with their choices precisely and will ensure that their dreams are fulfilled through us. 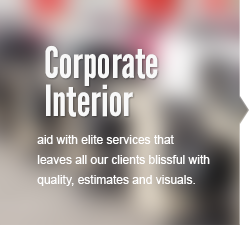 We have specialized team to handle all our segments who abide to offer maximum quality. We assure our customers an elite hierarchy of advanced and inventive designs to cater the most challenging and dynamic requirements.
" The services that our company obtained from Wintech Corporate Solutions were world class. They have a unique way to play with the latest trends and detail to derive elite results. . We dreamt to have association with an organization who were able to visualize our ideas precisely transforming them into realities and they proved to be the ultimate solution for our queries with their sheer elegance." " We are extremely pleased to be associated with Wintech Corporate Solutions. We were served with sheer purity right from the time of commencement of work till its accomplishment. The ease with which they mold the complexities to perfection left us spellbound. This unique aspect makes us come back to Wintech for future works and we would easily vote them for all if you want the best in this current era." 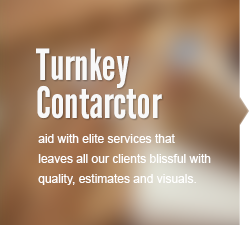 “ True professionalism is what we have experienced over here with a dedicated team to offer supreme service by pertaining our requirements and blending our ideas to perfection with extreme precision. If one wishes to be associated with the best then without the slightest of hesitation you can choose Wintech as we have experienced their quality in real”. “ Our experience with Wintech was exceptional – thay are professional, considerate and a pleasure to do business with. With Wintech you get great attention to detail and high quality craftsmanship at affordable pricing. We highly recommend Wintech and their team – we will definitely be calling them for our next project”. The most crucial task that has to be dealt with is to utilize the allotted space in the supreme manner. Our experts with supreme quality and tons of experience craft modular workstations to perfection by adhering to elite raw materials. Pure designs and rich collection of chairs is one uniqueness with which Wintech services our customers. An elite manufacturing unit with pure 100% back up. Strategized reviewing at each phase. 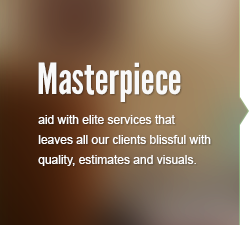 To aid with elite services that leaves all our clients blissful with quality, estimates and visuals. To be recognized as one of the elite organization with the ultimate quality which we offer in the field of project management solutions, or in the field of designs by blending with all the necessary international standards and process. We deliver services in our own unique trend, which will excel the expectations of our clients and will mold them to meet their trading requirements in this vibrantly demanding world.The reliability adhered in our services have fetched us elite name amongst our competitors.